When it comes to aquarium literature I am always a bit sceptical. 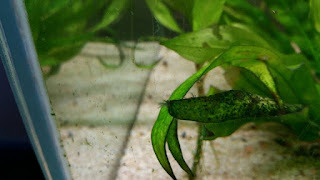 I wont go far as to say that there isn't any good aquarium books out there, its just that they are far few and between, many are old and outdated and other ones are just not very good. Some people might view this as a criticism of the authors, believe me its not. Its just that we are living in an age where information is easy and readily available so for a book to really capture my attention it really has to add something more than what i can generally find with a simple search on google or dedicated forums. So today i figured i would talk about one of those books, Sunken Gardens by Karen Randall. I found this book almost by chance, during scapetour at the Lisbon Oceanarium I was asked to sign one copy. I didn't have a chance to look into it but it caught my attention, specially because it looked packed with content and information. So after arriving back in London i did a search for this book. At the same time I was noticing that there was quite a lot of people posting about it on facebook. I found it on sale on amazon and placed an order and when it arrived I dived right into it. 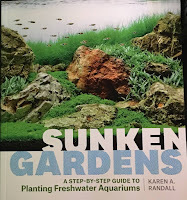 In my opinion this is one of the best aquarium books I have ever read, Karen Randall managed to create something packed with good information, which is definitely aimed at the beginner but at the same time is also relevant to the intermediate and advanced hobbyist. All this is achieved by packing a lot of quality content, while doing it in a way that is very easy and simple to understand. The structure of the book is well organized, and when you look at the way the information shows up you will probably relate to your own learning curve in the hobby. With each new topic the it is giving you more information to understand the next. 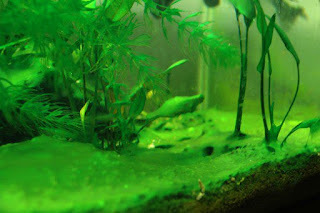 It also comes packed with pictures of aquariums, some of them from the author, others from hobbyists that sent their pictures to be used as examples of different types of aquascapes and scenarios. The pictures help by giving a visual reference to that which is being said in the book. I can say I enjoyed reading this book a lot, it didn't reinvent the wheel for me, most of it was not new, however I still learned quite a lot. And more importantly I was able to see the hobby through the eyes of someone way more experienced and compare her methods to my own. 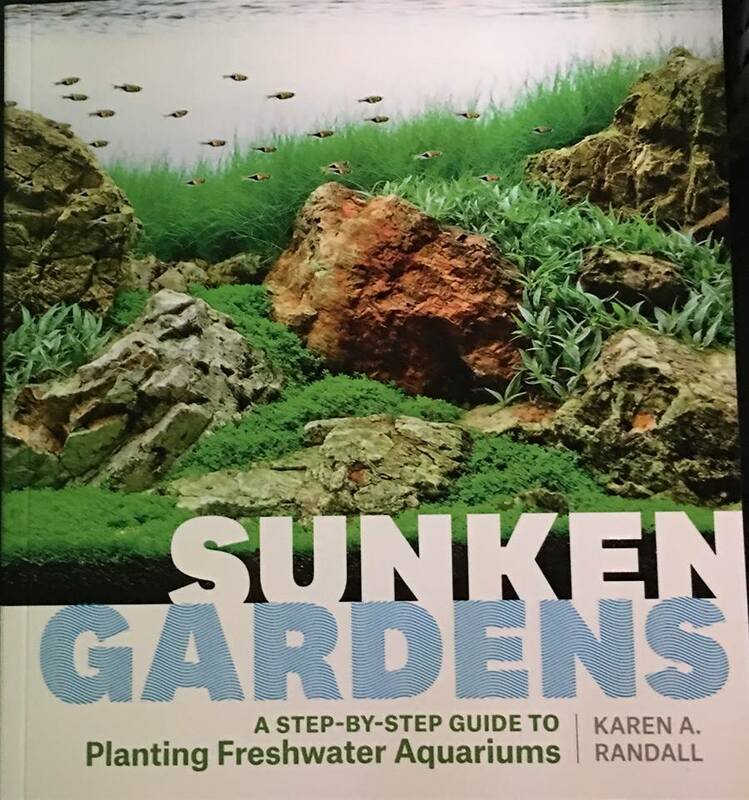 If you are a hobby enthusiast its highly probable that you already have a copy of "Sunken Gardens" in your personal aquarium library. But if you don't I highly recommend it whether you are a beginner or experienced hobbyist alike.